While most of the country has been enduring cold weather and snow, it has been very warm here in the Florida Keys.. More like spring then winter.. 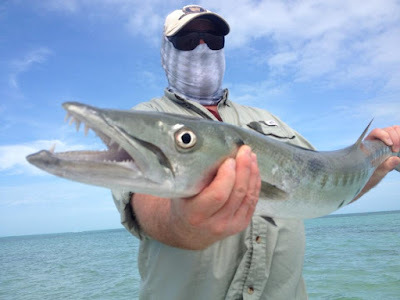 This has made for some very good tarpon fishing this month..
As long as the the water temperature stay warm, we will be able to target tarpon, permit and bonefish.. It is that time of year. Been seeing more and more big barracudas on the flats.. These fish are a Blast! Big , strong, fast, long runs, jumps, violent strikes.. what's not to like? Happy Holidays from the Florida Keys!! !